The Fujiwara were great, once. They could be great again. Educated, urbane, sophisticated and worldly, they were consummate courtiers and scholars, and had the ear of the emperor in all matters. They ruled from the shadows, with influence over the emperor, and over the upbringing of many imperial heirs. For that matter, the mothers of many imperial offspring were Fujiwara ladies. All of that power slowly slipped away from the family after the coronation of the Emperor Go-Sanjo; his mother was not a Fujiwara. The northern and southern halves of the family quarrelled, and the quarrel became virtually open warfare. The “Hogen Disturbance” when the Fujiwara tried, and failed, to impose their choice of imperial heirs did not help their fortunes at all. The Fujiwara star was eclipsed by the power of other families, the Minamoto and the Taira. To the wider world their reduced position looked secure, but the Fujiwara leadership retired from politics, concentrating instead on their lands, the arts, and literature. But now, perhaps, it is time to be great again. The Fujiwara therefore have a long family tradition of hidden power to draw upon. They did not just use the system of government: they became the system, using the family’s daughters to extend their influence over, and input into, the imperial bloodline. They were manipulative in the extreme, but they were also staunch traditionalists. They wanted control from behind the scenes, not revolution. This political and governmental expertise could now serve the family well: their junsatsushi agents act with great efficiency and at reduced cost; they repress the common people much more effectively than other clans; and they also spend less to maintain their lands and troops. 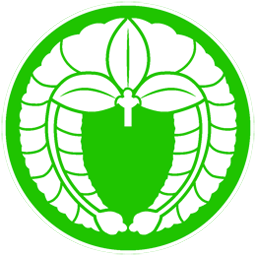 The Fujiwara believe, quite sincerely, that they are always in the right, and have high battlefield morale as a result.